This article originally appeared in the Financial Post on November 4, 2013. Reprinted by Huffington Post Canada on November 8, 2013. If questionable practices were woven into SNC-Lavalin’s fabric it wouldn’t be surprising, given Canada’s, and especially Quebec’s, lax stance on corruption. Dario Ayala/Postmedia News. Bribe payments were not only legal but even tax-deductible. The bribery allegations facing engineering giant SNC-Lavalin are just a “few aberrations” associated with a “few individuals” who are no longer with the company, according to Leslie Quinton, SNC’s senior vice-president for Global Corporate Communications. And Gwyn Morgan, the former chairman of SNC-Lavalin and founder of gas giant Encana, said that when a “small number” of individuals in a large company (SNC employs more than 34,000 people in countries across the globe) sets out to falsify documents, pay bribes and cover up theft, it is “exceedingly difficult to detect.” Corporations around the world face this problem, not just SNC-Lavalin, he added. Whether the corruption charges against SNC-Lavalin were the work of a few bad apples, as the company’s spokesmen claim, or whether the company was infused with a culture of corruption, is about to be examined in court. Filings from individuals, including those who have been charged themselves, suggest that, contrary to claims from the company’s executives and former directors, bribery and corruption was systemic and well-known. Mohammad Ismail, an engineer who was fired from the company and is facing charges of bribery related to the $3-billion Padma bridge project in Bangladesh, filed a wrongful dismissal suit against SNC-Lavalin and said that a secret code assigned to bribe payments was used on many projects. He said that he and many others tried to alert upper management to the bribe payments but they “failed and/or neglected to address” them. The case against Ismail and two other SNC-Lavalin employees, Ramesh Shah and Kevin Wallace, continued last week at a courthouse in Toronto. Another former employee, Joseph Salim, who alleges he was dismissed when he blew the whistle on millions of dollars of illegal payments for a hydro dam contract in Angola, has also filed a suit against the company. He alleges that SNC-Lavalin’s former CEO Jacques Lamarre, among other top executives, signed off on the 10% “agent fee.” A few years later, Jacques’ son, Patrick, who was an SNC-Lavalin executive vice-president, reduced that fee to the company’s 5% restricted rate, triggering outrage by the Angolan agent. According to CBC, SNC-Lavalin staff was told, with the consent of at least Patrick Lamarre, to find a way to get the 10% to the agency, while declaring only 5% on the books. A deal was allegedly struck to accomplish this by artificially increasing the price of the dam by $200-million. The sheer list of countries where allegations of corruption involving SNC-Lavalin have surfaced – Canada, India, Cambodia, Bangladesh, Algeria, Angola and Libya – seem to defy the claim that questionable practices were the work of a few “rogue” elements. If questionable practices were woven into SNC-Lavalin’s fabric it wouldn’t be surprising, given Canada’s, and especially Quebec’s, lax stance on corruption. According to Michael Hershman, an international expert on transparency and accountability who is now advising SNC-Lavalin on how to eliminate internal wrong-doing, corruption is more severe in Quebec than anywhere else in Canada and a “culture of corruption” has invaded the province’s business elite. Indeed, eight out of the 10 largest engineering firms in the province have been named in testimony at the Charbonneau inquiry in connection to donations to Quebec’s political parties. 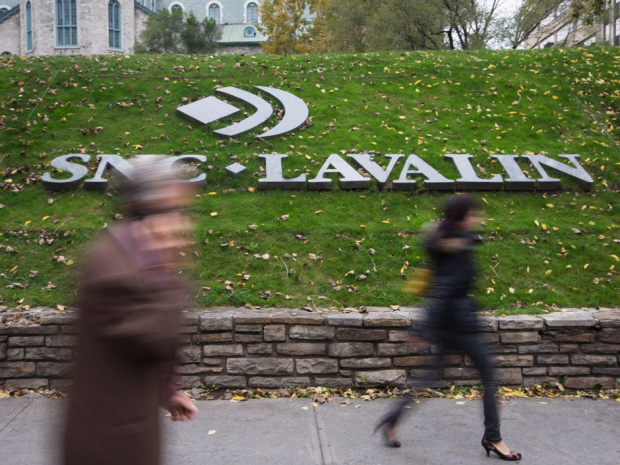 The head of one company alleged that a group of engineering firms, including SNC-Lavalin, colluded in order to increase the cost of construction projects. After Parliament passed the Corruption of Foreign Public Officials Act in 1998, the feds spent the next decade largely ignoring it. It wasn’t until 2008 that the RCMP created an office to investigate corruption by some of the country’s leading corporations. Janet Keeping, Chair and President of the Canadian chapter of Transparency International, the international corruption watchdog, recently argued that SNC-Lavalin’s troubles might not have ballooned if Canadian law enforcement had done its job. Though the RCMP now has 35 active investigations of foreign corrupt practices by Canadian companies or their employees, Transparency International remains unimpressed. In its recent annual report, TI placed Canada in its “limited enforcement” category – second to last on its four-part scale – for enforcing rules against bribery by multinational corporations. In contrast, Transparency International says the United States has the “most developed and active” legal and enforcement regime in the world when it comes to foreign bribery. The U.S. has in recent years taken on corporate behemoths such Pfizer, Chevron, ExxonMobil and Oracle, among others. That “advantage” must be looking decidedly different to SNC-Lavalin’s current executives who are today trying to exorcise the ghosts of corruption from Canada’s largest engineering firm as it prepares for its days in court. Patricia Adams is an economist and the executive director of Probe International. PatriciaAdams@probeinternational.org. Brady Yauch is an economist and the executive director of the Consumer Policy Institute. I much appreciate this info. I have posted it around. Thanks.